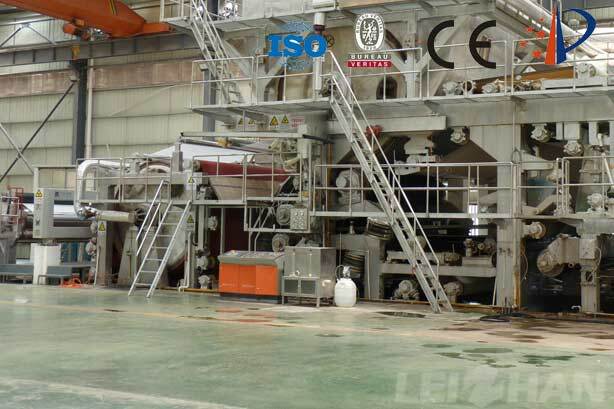 High Grade Facial Paper Machine mainly used for making good quality living paper, including tissue paper, facial paper, toilet paper, etc.And the flowing are the main performance of High Grade Facial Paper Machine. 1. Using square cone main pipe to feed slurry, negative pressure mesh cage forming technology. 2. Advanced scraper wrinkling technology. 3. Dynamic balance control technology for each rotary body. 4. Breathing high speed hot air hood and ventilation system. 5. High speed horizontal cylinder reel. 6. Vacuum roller press and blind hole press. 7. High pressure alloy Yankee dryer. Please feel free to contact with us, we would supply best service for every customer.